Now that Half Ashed is somewhat under control, I thought I should get back into the reviewing routine here on The Cigarmy. And, what better way than with a Cigar Spotlight? I met Eddie Tarazona, of Tarazona Cigars, at a South Florida cigar Tweetup last Fall. Eddie has quite an enthusiasm for cigars (and college football as well…he’s the “Proud Pops of VA Tech QB LT3 [Logan Thomas]”). Eddie is very personable and accessible to talk about his cigars – or just cigars in general. Some manufacturers can become so focused on the business of cigars that they lose sight of the simple pleasure of enjoying them. Not Eddie. While he is devoted to ensuring he produces the best cigars possible at his Cubanacan factory (in Esteli, Nicaragua), he has a genuine, contagious love for the leaf. Subsequent to our meeting, he generously provided a sample of each of his lines of cigars, and I purchased additional examples as well in preparation for today’s Spotlight. As an extra bit of interesting trivia, I noticed while scanning his website that $5 from every box sold is contributed to the Humane Society of Greater Miami as an extension of Eddie’s love of dogs, and his appreciation of Khan, his own rescued pup. 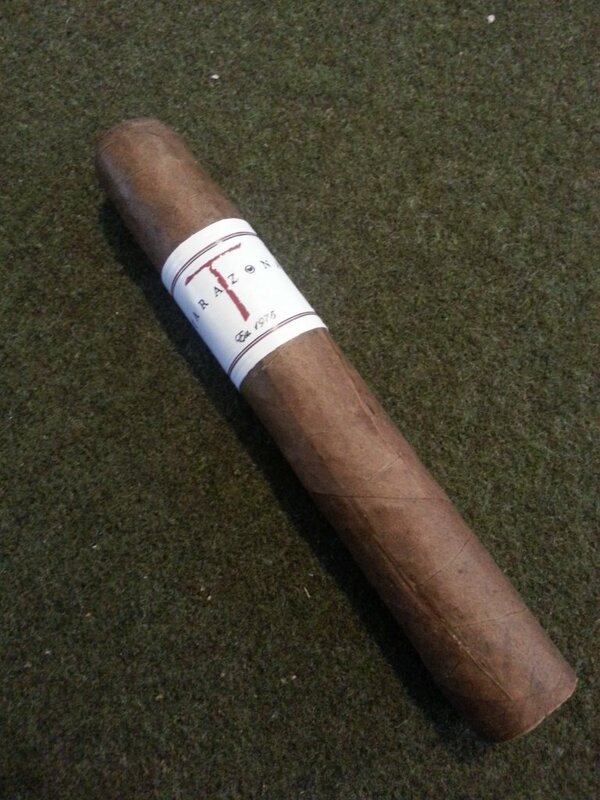 First up to the plate is the Classic robusto, which was my first introduction to the Tarazona line. I find the prelight aroma on these to be incredibly pleasant – sweet hay with just a bit of molasses and well-fermented tobacco. The flavor of the draw is more of the sweet hay – quite sweet actually, leaving a pleasant finish on the tongue even before light. It reminds me of my younger days back in Tennessee, climbing around in barn lofts. The aroma of the previous year’s hay on those early, dew-ridden mornings was intoxicating. The construction, as I have now come to expect with Eddie’s cigars, is dead-on. Each of the ones I’ve smoked has been firm but not over packed – free but providing enough resistance to know you have a cigar. This goes for each of the following cigars as well. With at least a few of all the Tarazona lines under my belt (except the Cubanacan Habano, which is new to me for this Spotlight), I have yet to find any issue with construction. The initial charring light draws provide a healthy dose of spice, not so much tasted as felt on the soft palate. This tingle quickly fades, which allows the more subtle flavors to sally forth within the first ten minutes or so of smoking. The Classic produces a slight physiological dryness, which might have you reaching for a sip of water, but never in abundance. I find the general sweetness from the prelight draw to hang around for much of the stick, although it does flit about in a more delicate character – presenting a toasted marshmallow flavor which tends to linger on the lips. The finish is long sweet, and very very pleasing. While I do find transitions to other flavors in the Classic – especially a lightly oat-like grain – the warm marshmallow goodness is, to me, the defining quality of the cigar. A definite medium-strength winner for you Sumatran aficionados. Like all the blends that carry the Tarazona marque, it’s available in robusto, churchill, and torpedo and retails for about $6.70-7.25, depending on vitola. Aside from the new Cubanacan Habano, the XTC is the Tarazona offering I have least experience with. I have had a couple of them in recent months, but the 305 and Classic lines are where my focus has been. There is something very familiar with the XTC, but I can’t quite put my finger on it. I get a healthy but manageable dose of spice on the retrohale early in this cigar. It’s just enough to showcase the flavor of the Corojo wrapper, which is one of the reasons I personally prefer coronas and robustos for trying out a new blend. They are “goldilocks” vitolas for me, and really communicate well with my palate – giving a good idea of the flavor impact of the wrapper, while still maintaining the integrity of the filler and binder. The XTC carries more strength than the Classic, being on the heavier end of the medium-strength spectrum for me, but the flavors are very intricate. It is a cigar that should be the focus of your attention while you are smoking it. If you pause to savor your time with it, you can find some fascinating tropical spice flavors – as well as higher notes of toasted almonds and perhaps some cedar on occasion. Another winner if you prefer the Nicaraguan corojo flavor profile without the nasal-napalm that sometimes comes with it. The XTC retails for about $8-8.50, and is available in the same vitolas as noted earlier with the Classic. The 305 is Eddie’s maduro offering. 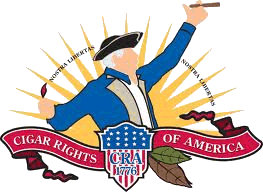 What piqued my interest originally is that I noticed it carries a Costa Rican wrapper. While not unheard of, Costa Rican tobacco isn’t exactly on every tobacconist’s shelf – especially in wrapper leaf. One local family manufacturer in the Tampa area produces a cigar that features Costa Rican leaf on rare occasions and I find it quite enjoyable. I have also appreciated its presence in a few other sticks over the years, so I had high hopes of being able to have a ready supply of cigars that feature it. After putting a few of these through their paces now, I am happy to report I have not beeen disappointed. At first light, I don’t get nearly as much of the peppery spice I have found in the early puffs of the Classic and XTC. It is much more sedate, and produces a sweet, leathery flavor set. It does typically build up with some more spice as the stick progresses into the second inch – which is 180° offphase from the Classic and XTC, where I find the spice earlier and fading as the cigar progresses. Once this spice presents itself, the sweet leather transitions to a more woodsy, smoky flavor. Both the flavor and strength of the 305 are full, especially as it nears the final inch of smoking – yet very approachable and entertaining. I have made a habit of trying to keep a few of these around at all times. 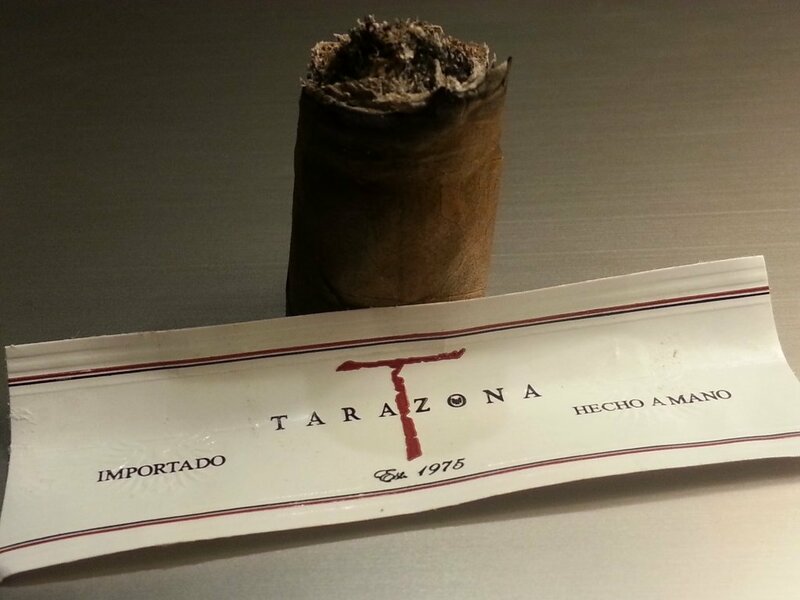 This stick is another great smoke from Tarazona, and fills a niche for me. 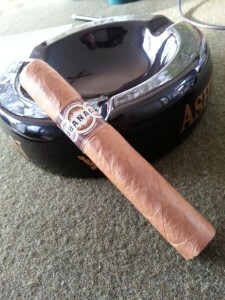 Certainly a cigar I can recommend if you enjoy Costa Rican tobacco. 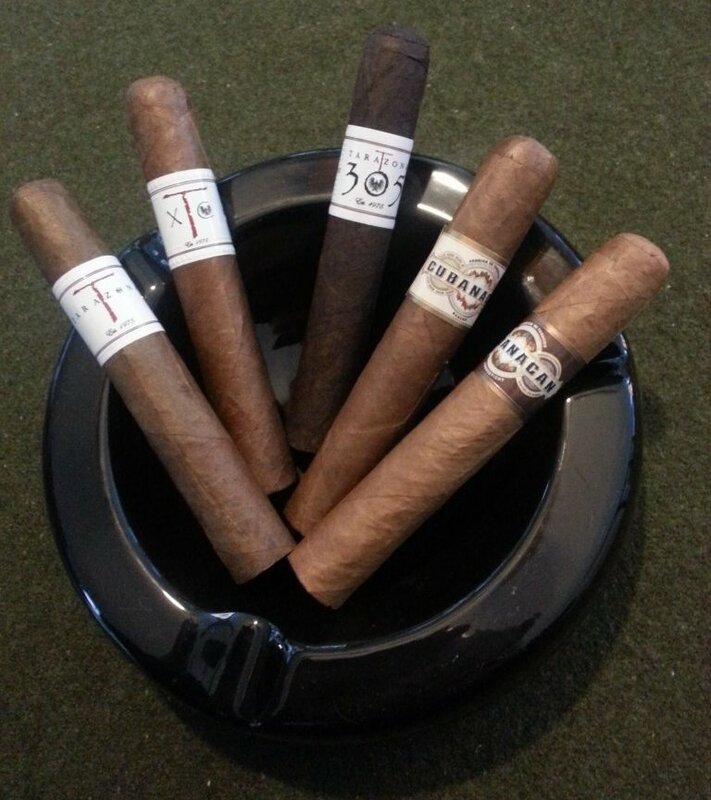 It is available in the same vitolas as the other two Tarazona lines above, and retails for approximately $7.50-8.25. Named for the Tarazona Cigar factory in Estelí Nicaragua and first released at IPCPR 2012, the Cubanacan Connecticut has been quite successful over the past several months, garnering a great deal of chatter and praise among the cigar Twitterverse and literature. One interesting note about this cigar is its composition. According to Tarazona, the Cubanacan Connecticut has two wrapper leaves which are used to envelop the Nicaraguan filler. It features an Ecuadoran CT wrapper in addition to its Ecuadoran Habano counterpart. So, let’s see what they are all about….. I don’t typically reach for many CT wrapped cigars with any frequency, although there are a few I enjoy. I commonly find the blends that lie beneath much of the CT wrapper leaf out there to be very mild in flavor, and sometimes unbalanced to my palate. While this is certainly not a fixed rule, it is a noticeable trend – at least in my personal smoking habits. This is not to impugn these cigars in any way – I just don’t often enjoy them as much as I do cigars that showcase other leaf varietals. 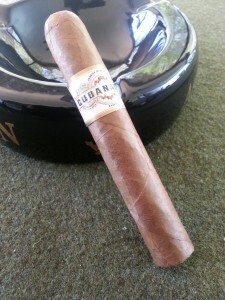 With a few other notable instances, the Cubanacan CT is an exception that proves the rule. I like the “tropical spice” I find throughout this blend – not a peppery style of spice; more akin to the family of spices that might be found in Caribbean cooking I have mentioned in the past. Early on, I get a healthy dose of bright, tannin-like astringency on the rear of my soft palate with this line, but it marries well with the sweet, tangy flavors present for a pleasant experience. One noteworthy transition I’ve noticed in these is usually around the midpoint of the cigar (in the robustos). I almost invariably notice a significant change in that the bright CT flavors mellow considerably into a nice, creamy, sweet profile I especially look forward to each time. I would never shy away from purchasing these, although thus far I have tended to lean toward the Classic or Maduro Tarazona lines when I’m at the B&M. Like the recently released Habano Cubanacan line, the Connecticut comes in five vitolas (Chato 4.5 x 42, Rothschild 5 x 50, Piramide 6 1/8 x 52, Churchill 7 x 50, and El Gordo 6 x 60), and is packed in boxes of 50. Retail prices range from $5.35- $7.85. 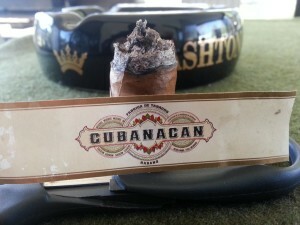 The Cubanacan Habano is Tarazona’s most recent release (via Cubanacan). Today, I’m smoking the Rothschild, which is the 5″X50rg offering from Cubanacan. The wrapper sports an absolutely lovely medium-brown hue, with just the slightest reddish tint about it. Before light, I pick up a good deal of woodsy aroma on the wrapper; the same at the foot, but with a bit of cedar as well. The draw is clean and clear, with less cedar but more spice than the foot aroma. 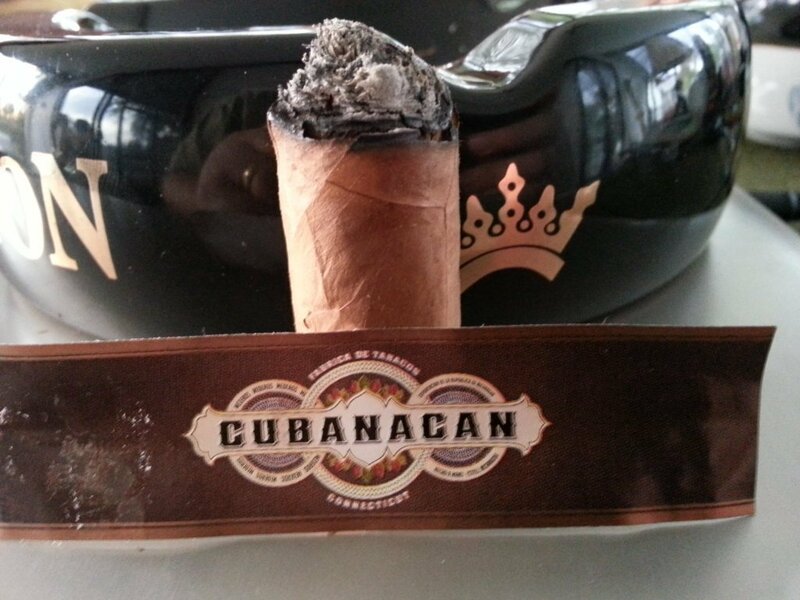 At first light, the Cubanacan Habano provides a sweet cedar flavor, offset by just a touch of spice. It quickly settles into some of the tropical-spice creaminess that I am so fond of. This is the main theme of the Habano in my limited experience (the provided sample is my first opportunity to try the Cubanacan Habano). 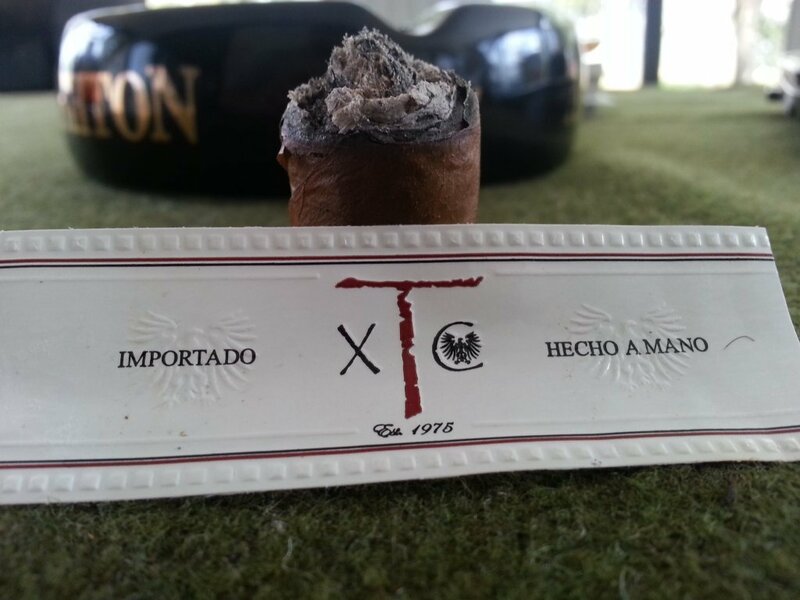 I found that creaminess to be prominent throughout the cigar, with occasional appearances of some peppery spice. It should be noted, however, that the spice in this cigar was sporadic and a welcome diversion. It provided just the perfect complement to the overall bright cedary sweetness that forms its foundation. Nearing the final stretch of the cigar, the character remains in the earlier described sweet woodsy/cedar range of flavors, and builds to a solid medium-bodied cigar. Like its Connecticut cousin, the Habano is available in five vitolas (Chato 4.5 x 42, Rothschild 5 x 50, Piramide 6 1/8 x 52, Churchill 7 x 50, and El Gordo 6 x 60), and is packed in boxes of 50. Retail prices range from $5.35- $7.85. The Cubanacan Habano may very well be my favorite of the Tarazona/Cubanacan cigars, although I’ll reserve judgement until I have a few more of the Habanos to make an informed decision – in the name of research, of course…. 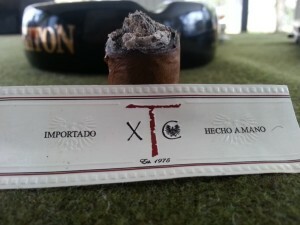 Good reviews, sounds like some very interesting cigars. Are your fingers tired, that was a long review. It is a long review, Swede – it is about twice as long as one of my normal reviews, but since it covers 5 cigars I figured it would fly :). These Cigar Spotlights try to cover the entire range of a maker to give an overview of what they are making, so they tend to be a little wordy…. 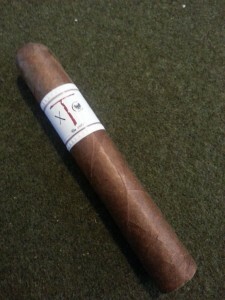 I met Eddie tonight at our local lounge in Little Rock, and after reading your review & others I settled on the XTC blend – very enjoyable and in between what I usually enjoy smoking. It wasn’t as flavorful as some, but it had a slight dryness that wasn’t bad. I will try the 305 Maduro next time. Just wanted to say great review, I wasn’t familiar with the brand before tonight aside from a few posts on IG I’d seen.